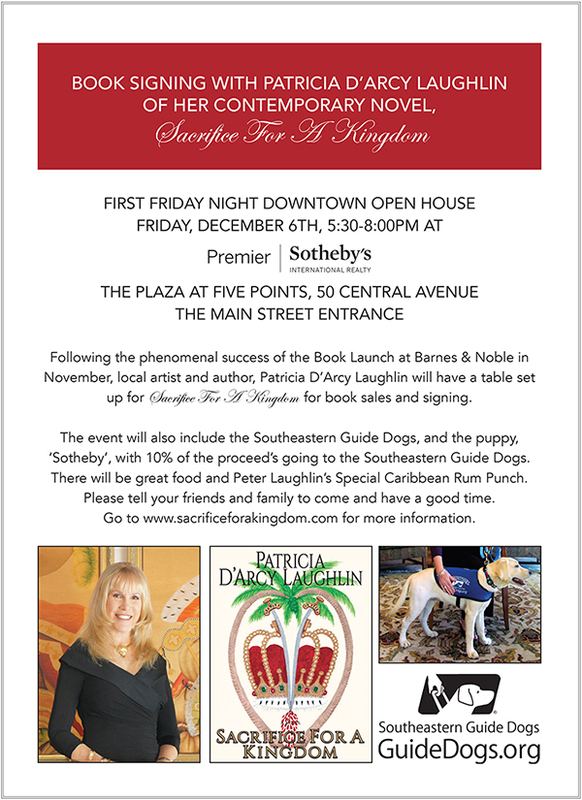 Following the phenomenal success of the Book Launch at Barnes & Noble in November, local artist and author, Patricia D’Arcy Laughlin will have a table set up for Sacrifice For A Kingdom for book sales and signing. The event will also include the Southeastern Guide Dogs, and the puppy, ‘Sotheby’, with 10% of the proceed’s going to the Southeastern Guide Dogs. There will be great food and Peter Laughlin’s Special Caribbean Rum Punch. Please tell your friends and family to come and have a good time.